Architect: Rafael Viñoly Architects, Cannon Design Inc. 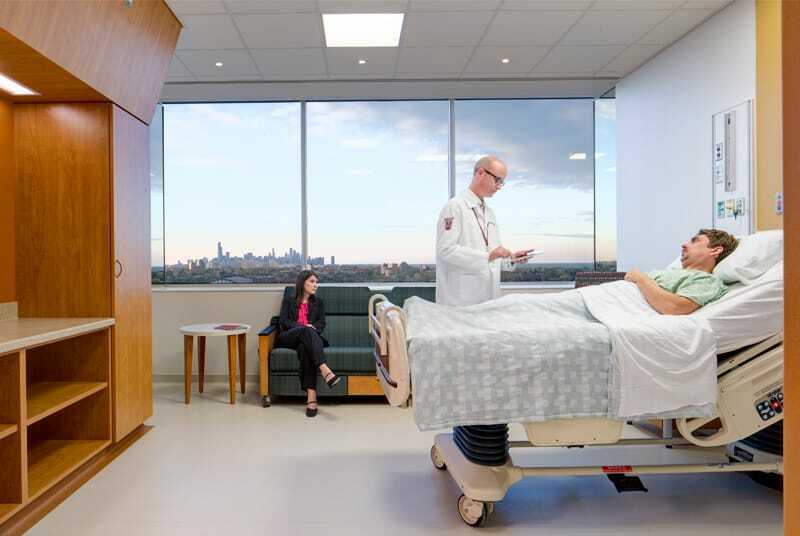 Looking to make a significant impact within the surrounding community, the University of Chicago Medicine (UCM) set out on a journey of discovery. At the heart of this journey was the need to provide present and future generations with a hospital that is continually at the forefront of advanced healthcare, providing the community with access to the very best doctors. 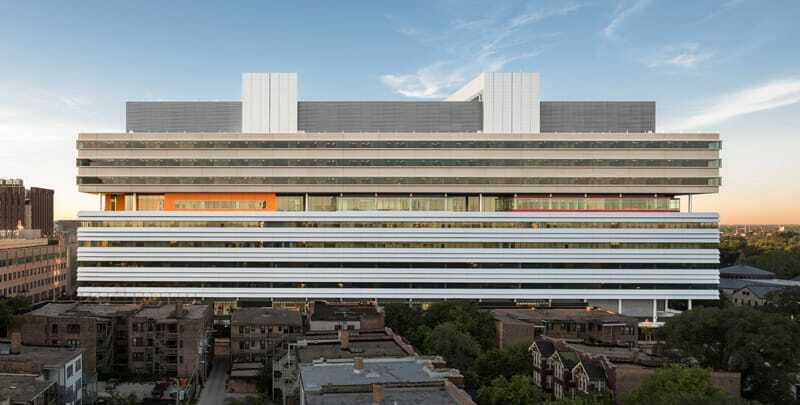 The Rafael Viñoly signature design complements the University’s existing state-of-the-art campus and meets the increasing demand for medical, surgical, intensive care, interventional radiology and GI services. Towering 14 stories high, covering 1.2 million SF, the new facility includes 28 operating rooms, 176 medical/surgical and ICU beds, 128 recovery rooms, interventional radiology, procedure rooms, staff training facilities, main kitchen, ancillary departments, clinical offices, support office, sterile processing, pharmacy and public areas. The seventh floor Sky Lobby houses the center’s main reception desk, several public and private areas including meeting/conference rooms, hotel offices to accommodate traveling/part-time physicians, suites for on-call doctors, family waiting areas, a dining room, gift shop and a chapel. 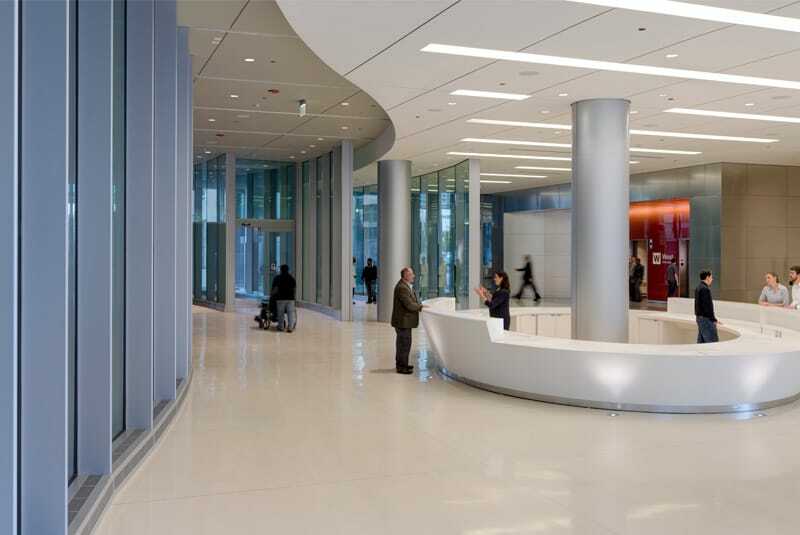 It also features floor-to-ceiling glass walls providing stunning unobstructed views of Chicago’s skyline, Lake Michigan and The University of Chicago’s Campus. Our focus on minimizing waste through quality and coordination brought significant benefits to the client. 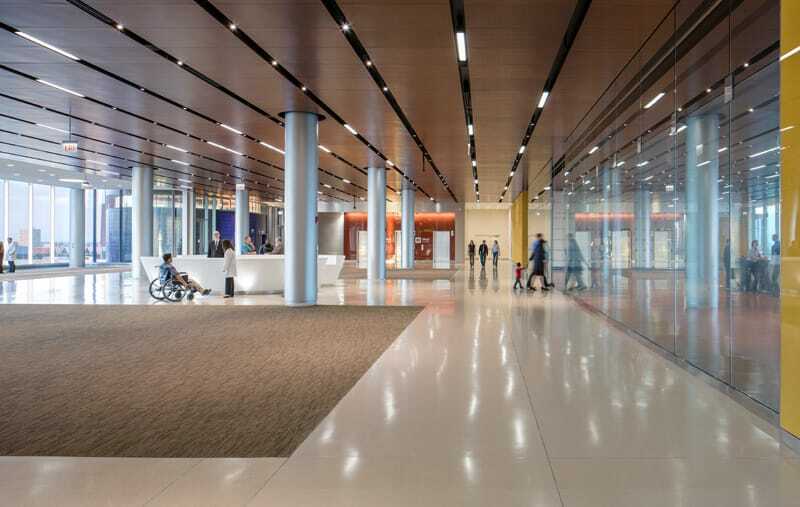 Our IDC review of the construction documents identified approximately 2,000 issues prior to the start of construction, resulting in an estimated net savings of $2,000,000 for the project. The utilization of Building Information Modeling (BIM) also proved to be a key ingredient in the success and efficiency of the project. By integrating the modeling process and collaborating with the design team and subcontractors, the schedule was significantly more accurate and efficient during both the design and construction phases.